These tennis player trophies are ideal to reward individual player achievements. Crafted in resin, they feature a male player in action with a dynamic swoosh background. 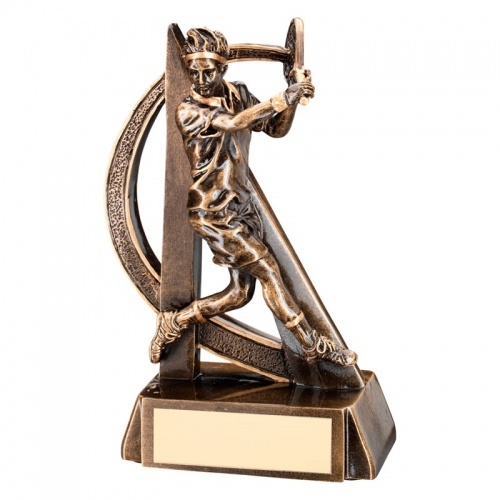 These awards have a bronze and gold colour finish and are mounted on a base with engraving plaque. They stand 6.5in (165mm) tall.